A 43-year-old man from Cleveland, Ohio, asked to use his 72-year-old neighbour's phone, then stripped naked, sat on her couch and stole two of her walking canes, according to court records. 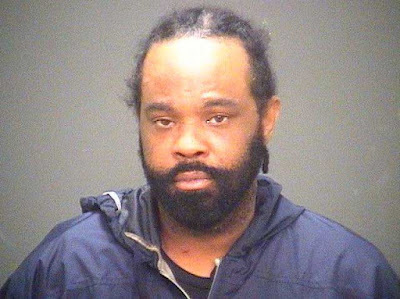 A grand jury on Monday charged Ramel Thomas with burglary, robbery and public indecency in connection with the May 8 incident in Cleveland's Corlett neighbourhood. Thomas knocked on the apartment door of a 72-year-old woman who lives in the same building and asked to use her phone, police said. The woman let him in. But instead of using the phone, Thomas took off all of his clothes and sat on her couch, records say. The woman eventually got Thomas to put his clothes back on, and he walked out of the apartment. She followed him to the door, where Thomas grabbed two of her walking canes, pushed her against a wall and walked away, police said. Thomas was arrested that day and charged with robbery in Cleveland Municipal Court. His bond was set at $50,000. Thomas is scheduled to be arraigned on May 27.